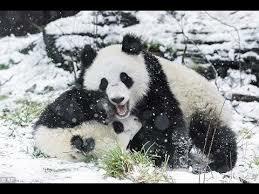 One-year-old panda twins Fu Feng and Fu Ban are in love with their first snowfall at a zoo in Vienna. 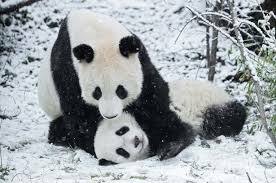 The zookeeper said that unlike hot summer days when pandas become rather lazy and look for shade, snowy winter weather turns them very playful. They romp around and climb things. 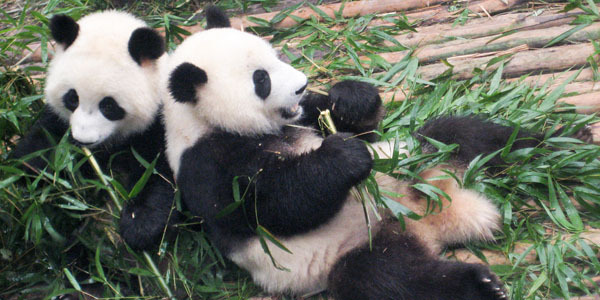 As they have really thick fur, pandas are well-protected from the cold. They even have fur on their soles so walking on snow and ice does not concern them. The excitement from the snow and their winter-proof bodies contribute to the belief that the species originated from the mountains and forests of south east China.